1. 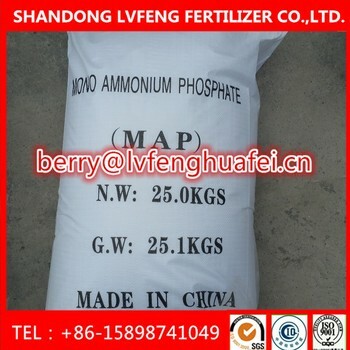 Tech grade (more thean 98% content) Monoammonium phosphate, fine crystal. 2. Could be apply through fertigation or other irrigation systems. 3. Foliar application to supply quality phosporus to crops especialy in the front stages such as just transplanted. 4. High quality P source for npk fertilizers & npk water soluble fertilizers.